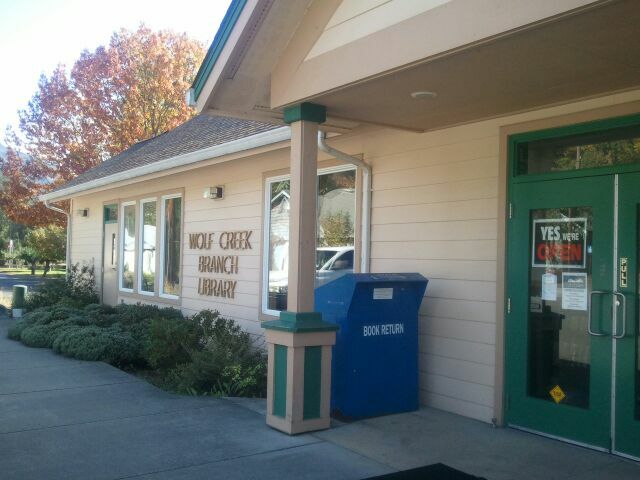 The Wolf Creek branch of Josephine Community Libraries is located at 102 Ruth Avenue in Wolf Creek, Oregon 97497. 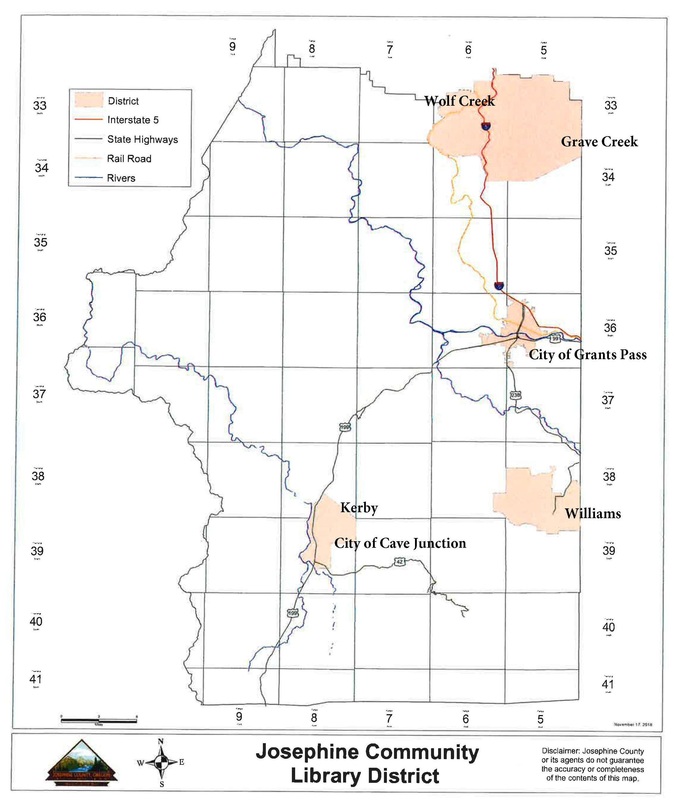 The mailing address is 200 NW C Street, Grants Pass, Oregon 97526. Take I-5 North from Grants Pass and take exit 76 toward Wolf Creek. Turn left onto Coyote Creek Road, and then turn right onto Old Oregon 99. Travel for 0.3 miles, and then turn at the first left onto Front Street. Turn left onto Ruth Avenue. The Wolf Creek library is at 102 Ruth Avenue on the left. See the library calendar for details about more events and happenings at the Wolf Creek Library.